L16 café & bar at Hong Kong Park. Design project with Hands Creations Limited. 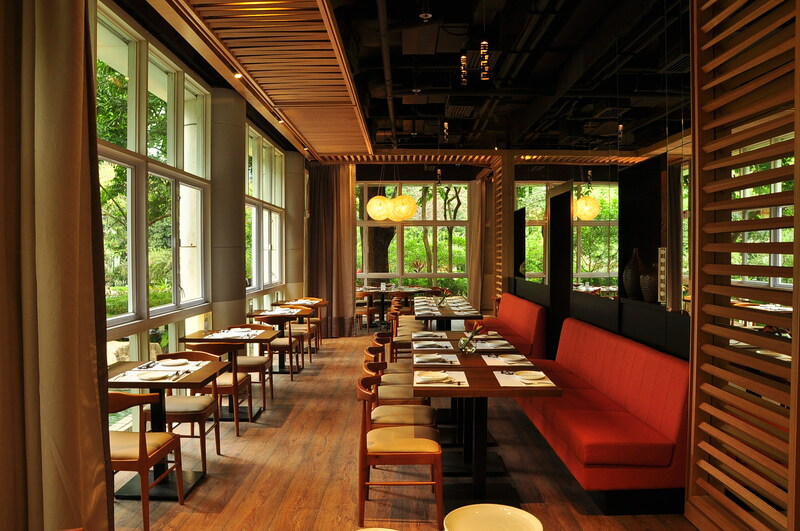 L16 café & bar situated inside Hong Kong Park. Beautiful scenery, all you can see are trees and the lake at the back. Being a Thai fusion restaurant, the graphic team use dishes names outline an elephant to create a symbol at the entrance. Playing with mirrors, the reflections of the trees juxtapose into interiors. In the middle of the restaurant is the bar, special made red leaf glass mosaic walls, oak veneer attic roof and modern chandelier bring different quality to the restaurant. You are the first person leave me a comment here. Thank you very much!